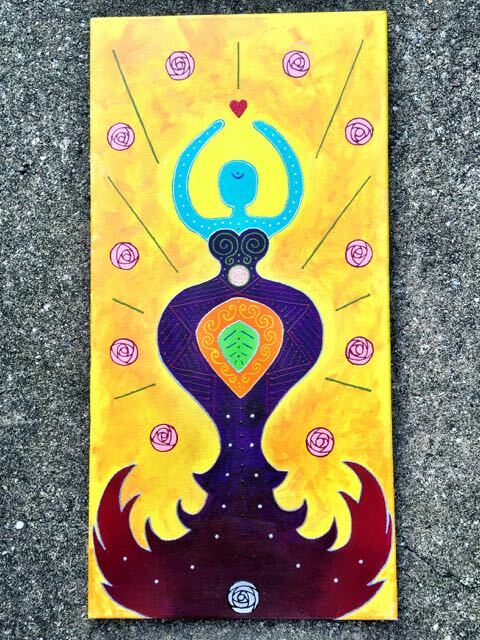 This painting is called Feminine Divine and is the first in a series I'm beginning called Goddess Abstractions. Im inspired by myths, stories, rituals to and art about Goddess archetypes. 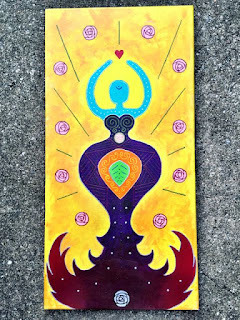 Through out the world divine feminine energy is embodied in the mythology of sacred women. I find their stories teach me new ways to flex my emotional muscles and help me to better know my path and myself. Part of my spiritual practice involves investigating goddess myths and finding ways to integrate the wisdom they share into my daily activities. Ive been wanting to do a series of goddess paintings for a while but it's taken me time to figure out how I want to approach them. 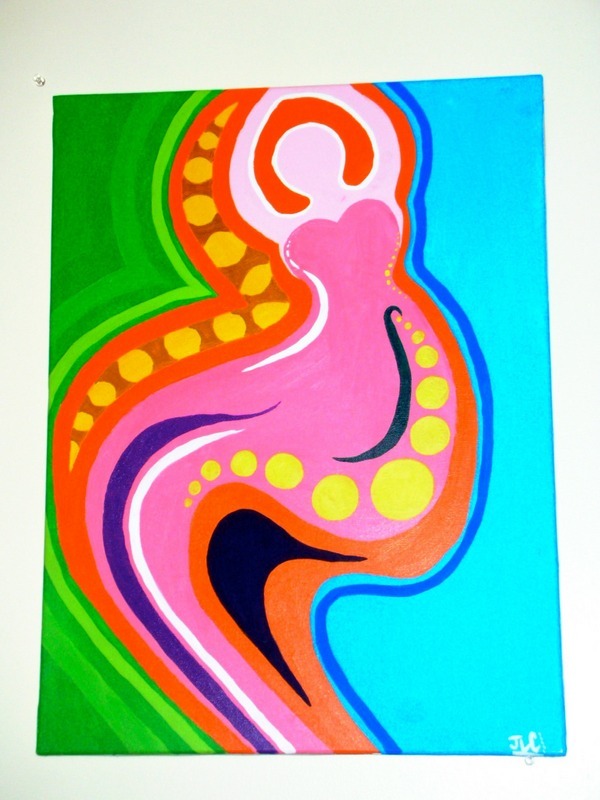 I did a painting a few years ago of an abstracted woman form that I had always loved and wanted to work in a similar geometric style for this series. I'm hoping creating them will be a grounding part of my evolving process of learning to trust the gentle Goddess energy as it blossoms into my heart and offers me blessings and support. Sometime this summer when I was hibernating the idea came to me to use a curvy form with her arms raised and her skirt flaring to the sides. 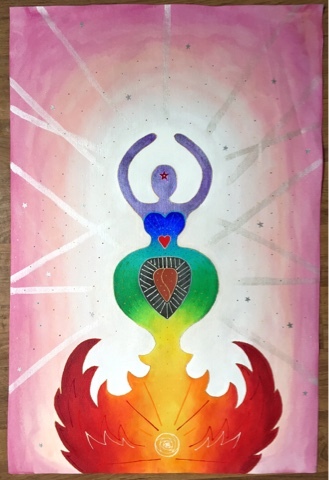 In June I finished the book Goddess Initiation by my wonderfully magical teacher, Francesca de Grandis, and I spent the few days following my initiation ritual painting this goddess image which I call The Regeneratrix. Then a few days later I stumbled upon the Goddess Telesummit organized by Kim Wilborn which was an online series of pagan priestesses each being interviewed about a particular Goddess, leading a meditation and offering inspiration for daily practices. I signed right up and downloaded the 25 recordings as they happened over two weeks time. My plan is to listen to one session every two weeks and do painting and blog post about each one. I'm using raw canvas for these pieces as I like the idea of being able to hang the image like a banner or tapestry. I may even add a hanging bar to the finished product....I have to see how they come out first before I can make that decision. 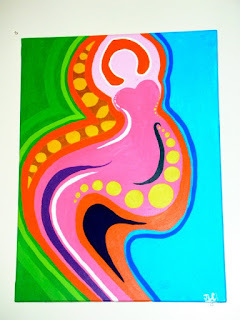 Watch this blog for posts about this series once or twice a month depending on how much time my painting process takes. 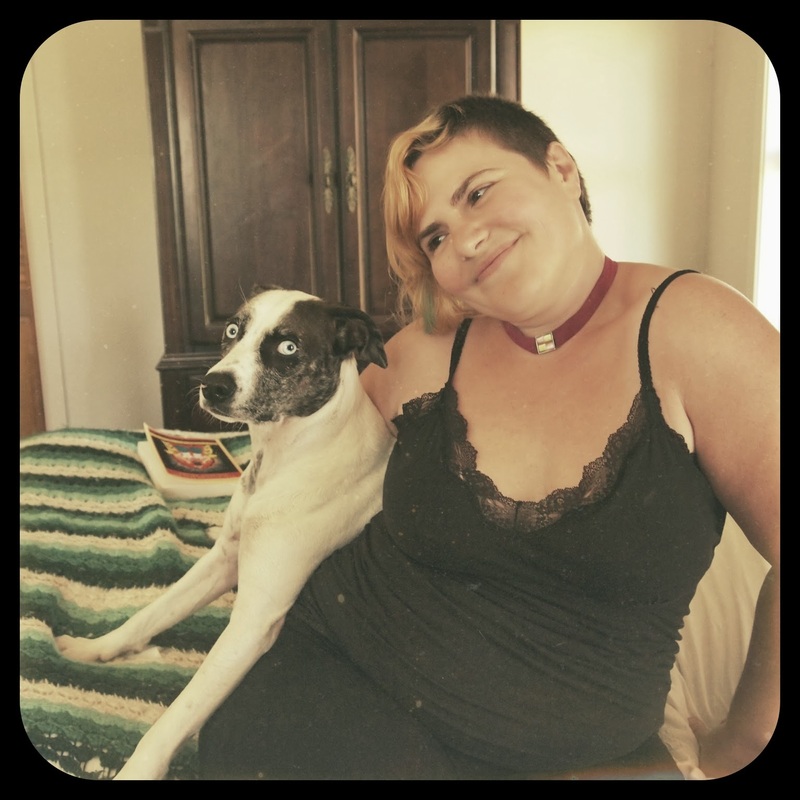 For a look into my real-time practice stay connected to my social media and/or join my newsletter for monthly updates on my progress.